The Steeple on St. Francis, located in Mobile, Alabama, joins a national trend of repurposed churches as developers adapt the abandoned buildings to restaurants, theaters and concert venues. From our initial conversation with owners Ginna and Clif Inge, we knew this project was a rarity, and we too, fell in love with The Steeple on St. Francis. 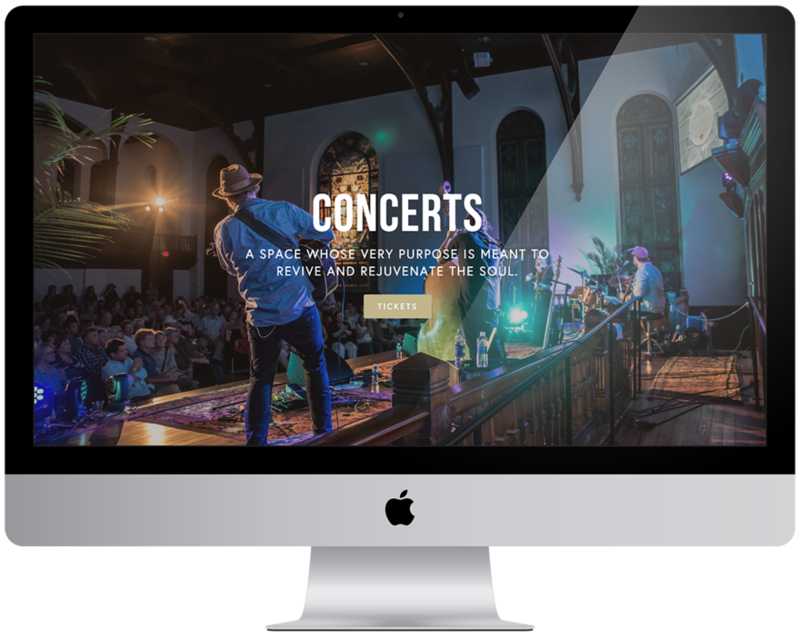 Our concept for the site was to blend the rich history of the church with its modern renovations… The overall design is clean with modern touches and utilizes photography as a “visual” tour guide. As The Steeple grows, the site is built to accommodate those future additions such as a blog, event booking and e-commerce components.